I adore breakfast. You get to eat in your jammies with no make up. Warm, cozy. There’s usually butter and syrup and always coffee. I love to get up early on a weekend and sneak off to breakfast quite honestly. All by myself with a book or the newspaper. Less dishes that way. Don’t get me wrong, I love company too especially since the six-year-old crowned victor of Pickiest Eater has breakfast on his list of “Will eat!” just the carb-based entrees (pancakes, french toast, that’s it.) I will wait in line for over an hour for the best pumpkin pancakes (only available for a limited time) at The Original Pancake House not IHOP, oh no it’s not IHOP. Click here for a location near you! Since I do love to cook (but not do dishes), the necessity of dirtying some dishes arrived one Saturday morning. 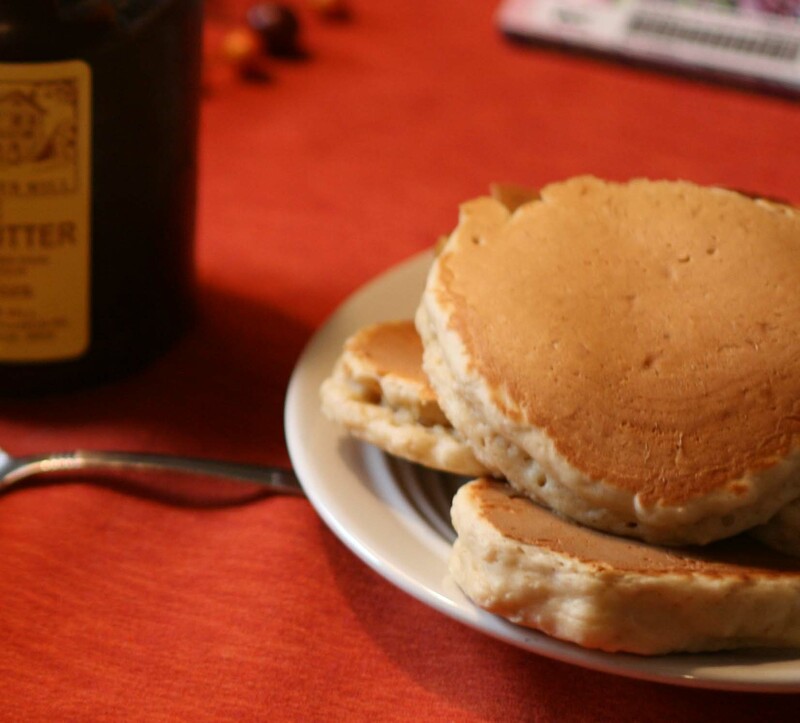 Oatmeal-Buttermilk Pancakes: Recipe at end of blog. Shaking it up, trying a new format. Hope you were sitting down. This is a Cooking Light recipe, from The Complete Cooking Light Cookbook, that I adapted because I found the original too dense. They are flavorful and filling but much more heavy than a regular buttermilk pancake. 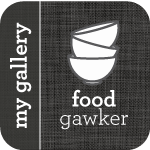 The oatmeal flavor lends a sweetness. Combine the buttermilk, oats and vanilla. Give them 10 minutes to get to know each other. Turn your attention elsewhere. Feed the children. Walk the dog. Hey, measure out the rest of your ingredients? 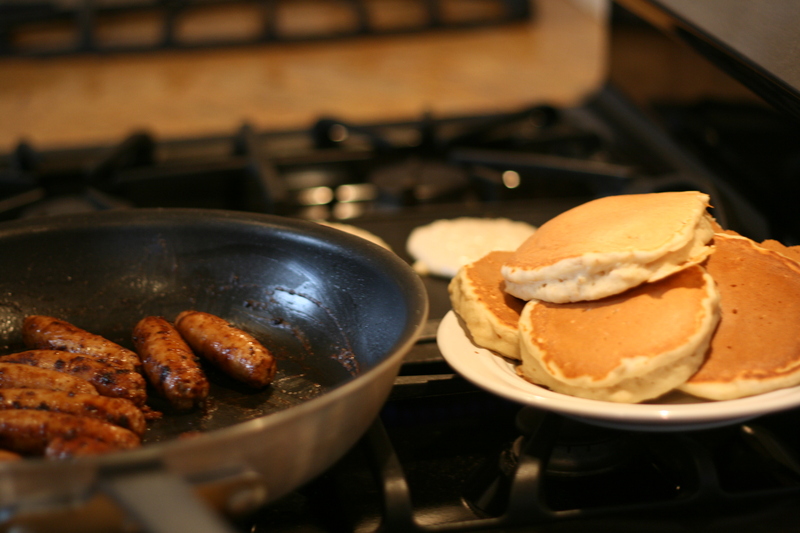 Preheat the griddle or pan? There is so much to be done in 10 minutes. Work on your taxes? Do 40 squats in your kitchen? Why does WordPress want to center these captions? I end up typing more just to fill up the caption box because it bugs me that there is a loner 1/2 sentence unevenly spaced. Anyone know? Dry Ingredients waiting impatiently for the 10 minutes of oat soaking that must occur. The moment they've been waiting for. Dry Ingredients meet Wet Ingredients. Play nice. Love the center-griddle insert on my GE stove. Not a product plug. It's one of the few redeeming qualities about it. See how puffed up they get, don't be fooled it's not light airy puffy. These are heavy-duty fill-you-up pancakes. We topped them with maple syrup And apple butter. 1. 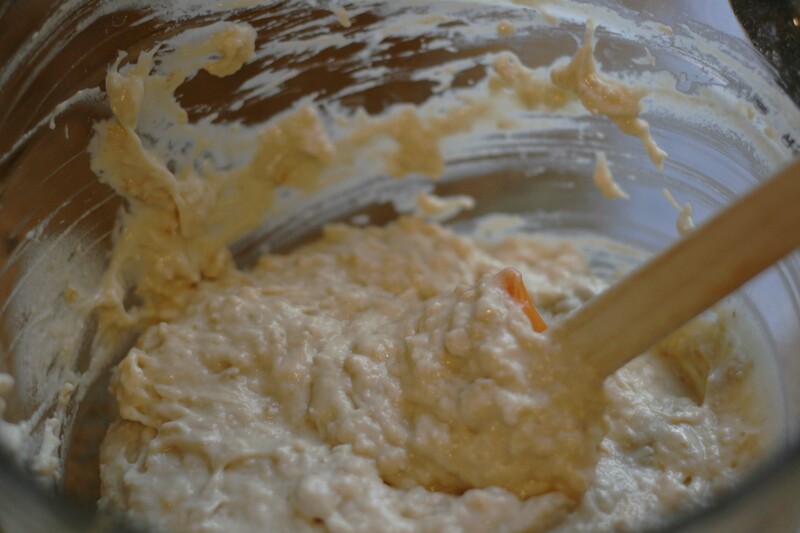 Combine the buttermilk, oats, and vanilla; let stand 10 minutes, stirring occasionally. This is when I take the opportunity to start some sausage in another pan. After 10 minutes, stir in oil and egg. 2. Lightly spoon flour into dry measuring cups; level with a knife. 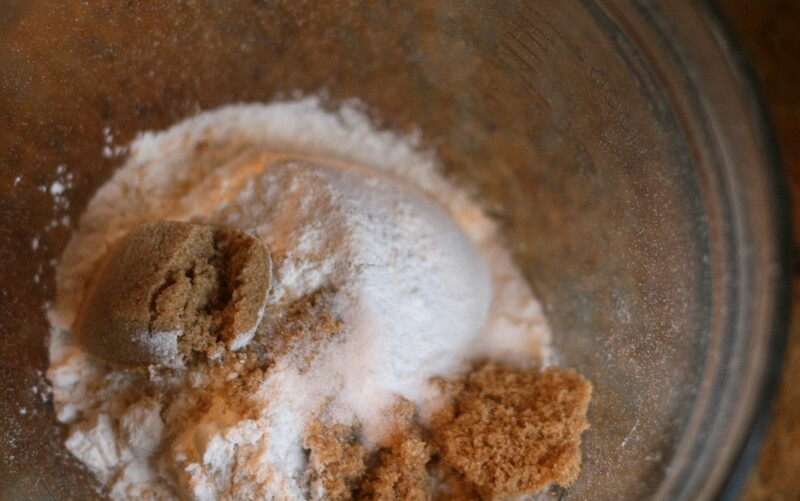 Combine flour, brown sugar, baking soda, and salt in a large bowl. 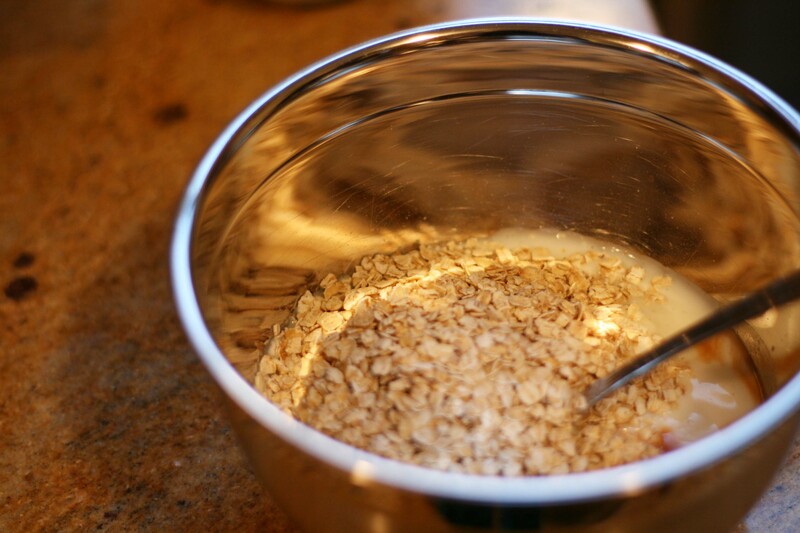 Add oat mixture to flour mixture, stirring until smooth. This is where I add in some milk (2%, fat-free, whole-fat whatever you have.) to thin out the batter. It’s really, really thick otherwise. 3. Spoon about 1/3 cup batter onto a hot nonstick griddle or nonstick skillet. 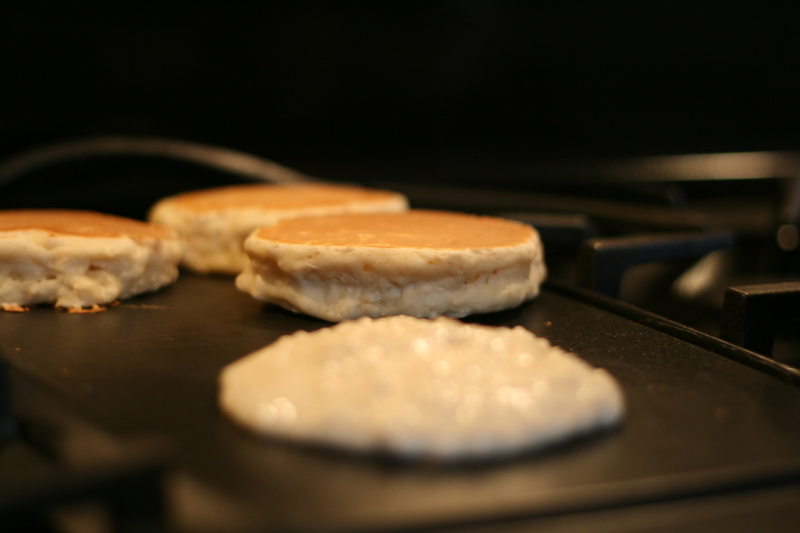 Turn pancakes when tops are covered with bubbles and edges look cooked. 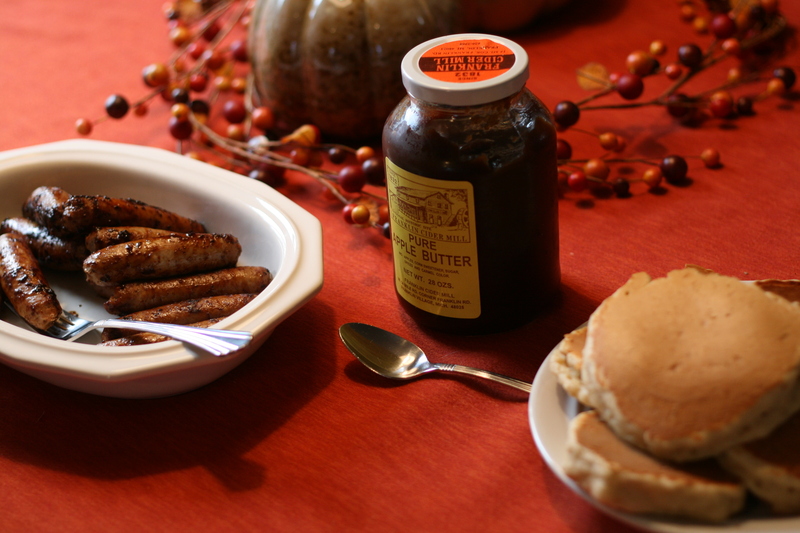 This entry was posted in Breakfast & Brunch and tagged breakfast, eggs, maple syrup, oatmeal, pancakes, sausage. Bookmark the permalink.